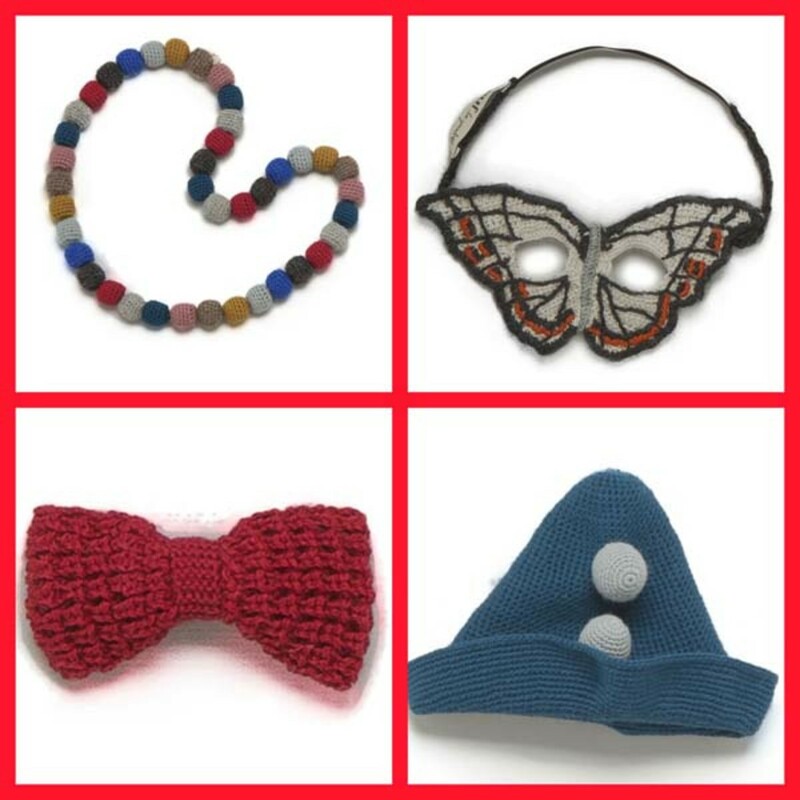 Oeuf has always thrilled us with their simple, thoughtful, creative clothes and gifts. Not to mention their streamlined contemporary furniture. Everything Oeuf touches is gorgeous. This holiday season there is so much to love at Oeuf and each item would make a child of any age smile. Take a peek at my favorite things and I bet you&apos;re already smiling. Imagine this hand knit bow hair pin in your little girl&apos;s hair. A barrette hiding behind the bow ensures it will stay in place. Available in two solid colors and four colors with dots. Simply delightful. The hand knit bead necklace never goes out of style. I would wear it to dress up a sweater and my daughters would wear it to dress up! The Butterfly Mask is also a gigantic step up from our usual dress up materials. The Lille Huset Small City was designed to play well with toys you already own. Little plastic dinos, mini princesses, Fisher Price People and more will love to live in these houses. Plus, you can draw on them. The box has a map on it that can be the street under the houses. And when you&apos;re done with the small city, it folds up and goes bye-bye. Genius! Three Stars Colored Chalk was made by the oldest chalk and crayon factory and Germany but that&apos;s not why you should love them. They have special binding ingredients to decrease chalk dust. Yay! Plus the colors are vibrant and fun. Ever wondered about those traditional wood swings that we&apos;ve seen hanging on trees in the movies? You can get one from Ouef! Made from solid wood and natural fiber rope, it&apos;s eco-friendly and won&apos;t take up your entire yard. TheOriginal Bench Swing is pure joy.